The Antalya region on the Mediterranean coast of Turkey is the second most popular touristic and holiday area in the country and for many good reasons. It has a state of the art airport, gorgeous weather, and a laidback lifestyle but the biggest lure is the vast variety of things to do in Antalya, both in the bustling city center and surrounding coastal resorts. Including adventurous outdoor sports, romantic hideaways, and the pursuit of a vibrant nightlife, couples, and groups of friends, solo travelers, and families can instantly lay their hands on a wealth of day and night activities. The bonus, however, is that whether signing up with a travel agent for guided tours or exploring independently, discovering the best of Antalya and the areas around it does not have to break the bank either. Pursuing the full range of places to see, do, and go is cheap, cheerful, and excellent value for money. 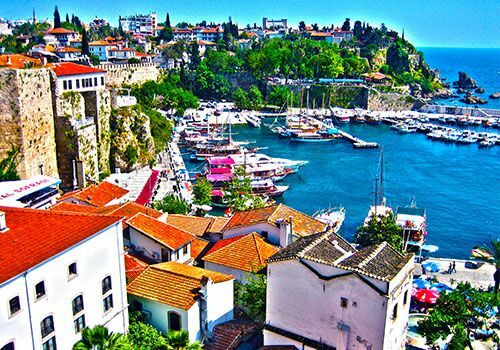 Although Antalya city center has emerged over the years to become a modern, bustling metropolis, it retains traces of its quaint history in the old town part. Its Turkish name is Kaleici meaning “inside the castle,” an apt reflection of its illustrious historical timeline when tall defensive walls protected the city. The beautiful and majestic Hadrian’s Gate marks the entrance to the heart of Pamphylia, the former name of Antalya. Ideally spend a full day exploring the landmarks of Kaleici including Hidirlik Tower, the clock tower, and the harbor part, which is an ideal place for brunch, lunch or a place to watch the sunset. One of the best museums in Turkey is the Antalya Archaeology Museum that first opened its doors in 1922 and these days holds thousands of artifacts from civilizations stemming back hundreds of years. People interested in Turkish traditions and culture will enjoy the ethnographic collection displaying various lifestyle items depicting art, music and the family home of Turks in history. The Gallery of the Gods holds priceless statues discovered during the excavation of the ancient city of Perge while the Gallery of Emperors contains impressive statues of Roman notability. Other collections include pottery and sarcophagi making this museum a history lover’s dream. Out of all the best things to do in Antalya, beach lovers in particular flock here because it has some of the country’s biggest and most beautiful sandy havens. In the heart of the city center, a small staircase descends to Mermerli beach, and all its amenities including umbrellas, loungers, and nearby restaurants. However, the two most famous beaches for family and friends are Konyaalti and Lara Beach. The two-mile Konyaalti beach was sitting slightly west of the city center has beautiful background scenery of the Beydaglir mountain range, and given its long distance, ample amounts of space ensure a calm atmosphere, even in the height of summer. To the east of Antalya city center is Lara Beach, another alternative that is considerably sandier than Konyaalti. The region is famous for its large gathering of all-inclusive hotels. Offering the same amenities of loungers, umbrellas, and restaurant, it stretches for 6 miles so take your time to explore and find the best spot for you. If you visit during summer, the bonus is Sand Land that is an impressive collection of sand statues depicting various themes every year. As one of the biggest collections of underwater sea life in Turkey, Antalya Aquarium is a family friendly environment that will educate kids in a fun way. 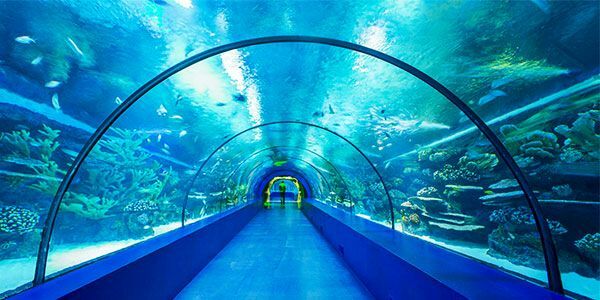 Forty separate aquariums separate species, but the highlight is the 131-meter tunnel with the main tank holding tropical reefs, aircraft shipwrecks, and colorful sea creatures that you are unlikely to see again in your lifetime. Spectators can watch the underwater feeding time, frequently held throughout the day, while the aquarium also helps couples by arranging romantic proposals packages. Near the coastal resort of Side, Manavgat Waterfall invites you to enjoy beautiful natural landmarks in a peaceful family friendly environment. Notably famous for its wide width rather than its height, the waterfall disappears during the rainy season but returns to a stable pace during summer. Nearby tea gardens nestled under the shade of towering trees equally, promote the tranquillity as you listen to the sound of the water gushing over the rocks. Many tour agencies sell tickets, combining a trip to the waterfalls with a visit to the local market. If you travel to Manavgat independently, also stop by the coastal holiday resort of Side. Locals built the new parts of town around the old historical sights promoting a rather surreal appearance of old and new combined. The former, quiet fishing village maintains its status as one of the best open-air museums in Turkey because of the large 20.000-seater theater in the heart of the town. However sitting on the coastline, is its most important landmark of the Temple of Apollo, ideally viewed as the vibrant sunsets behind it. For a jaw-dropping, memorable experience that will evoke lifetime memories, head 1639 meters up in a cable car to the viewing platform of Mount Tahtali. 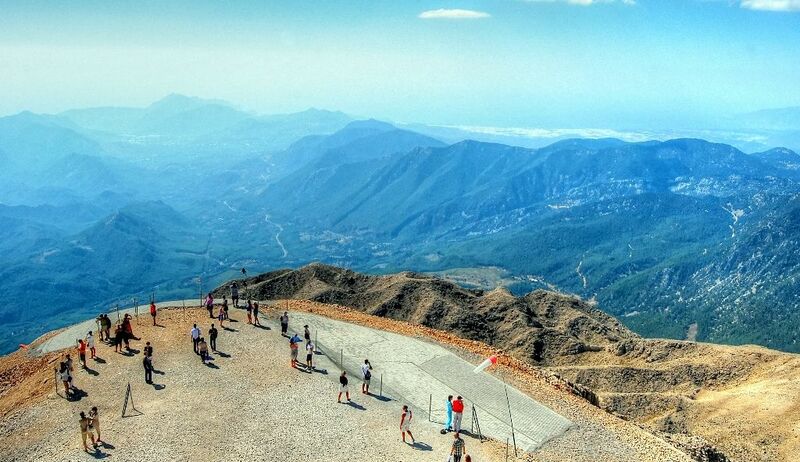 A 360-degree view evokes powerful images of the Taurus mountain range and the coastline of the Kemer region of Antalya. Take your camera or employ one of the on-site photographers for a professional souvenir. Also, theater adrenaline junkies might also want to head to the paragliding shop that sells an alternative way of getting back down the mountain. Known as Tahtalı Dağı in Turkish, sunrise view tickets are now on sale and will particularly appeal to couples looking for a romantic experience. Out of all the historical things to do in Antalya, everyone should visit Aspendos because of its mostly intact 12.000-theater. Dating from 155, historians say it is one of the best-preserved Roman structures in the world. Used as a caravansary (old hotel for traders) during the 13th-century Seljuk period, these days, the Aspendos International Opera and Ballet Festival annually hold productions so visitors can appreciate the beautiful acoustics and atmosphere. Other notable landmarks including the aqueduct and basilica are open every day. Golfing fans will be delighted to discover that they are in the heart of Turkey’s golfing capital that is the holiday resort of Belek. For many years, the resort maintained a low-key appearance, often overshadowed by surrounding coastal resorts such as Kemer and Side. Later, masses of investment into upgrading and creating new golf courses paid off, and Belek is now the destination for many championship tournaments that have hosted famous names such as Tiger Woods. Beginner and novice players should not brush this opportunity off either because many of the golf courses and hotels also have personal trainers, academies, and schools teaching kids and adults. 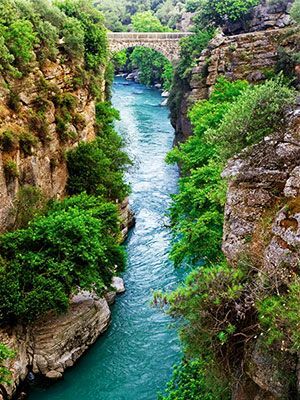 As a national protected park, the 366-kilometre Koprulu Canyon is the ideal environment to delve into flora and fauna of Turkey. Fresh fish restaurants alongside the river are a popular stopping point for a tasty lunch while the old Roman bridge is a flash back to its historical past. Many visitors also flock for the outdoor activities like canyoning, abseiling, and white water rafting, that is open to beginners because of the instructor guides, safety equipment, and briefings. The Antalya region stretches from cosmopolitan Alanya westwards to the small quaint town of Kas. 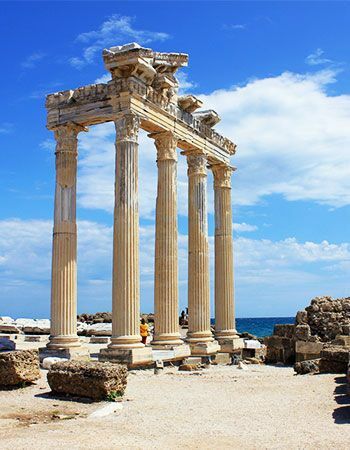 Along the route, many historical attractions belonging to the Lycian way trekking route are open to the public including the ancient cities of Phaselis, Olympus, Patara, Myra, Saint Nicholas’s Church and the burning flames of Chimaera. If walking does not interest you though, the coastal D400 highway connects them all making this a great road trip route. Many independent travelers hire a car and explore other lesser-known attractions of Antalya, often extending their journey to stays overnight in the quaint village of Çıralı, and the upmarket prestigious town of Kalkan. Any list of fun things to do in Antalya should include sailing because the region is a central hub of the Turkish Riviera. As one of the main sailing ports on the turquoise blue, southwest coast, many budget travelers board daily lazy cruise boat trips leaving from most harbors in coastal resorts. 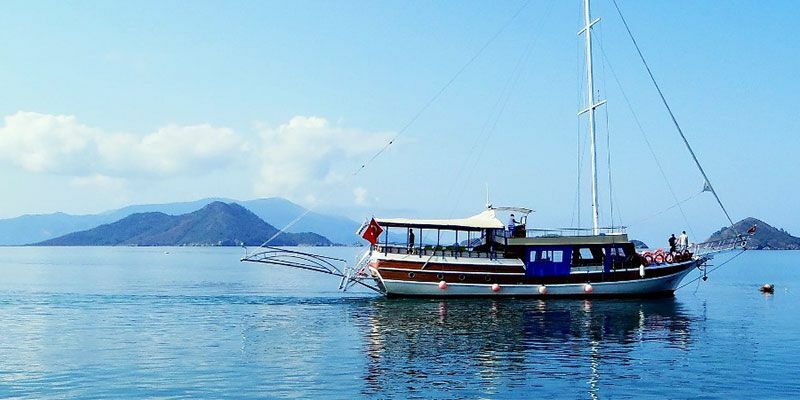 Those with a bit more money to spend usually book a 3 to 4 night trip on a traditional Turkish gulet boat that sails up the coastline to Fethiye, passing by coastal attractions and small towns and villages, making this an excellent way to explore Mediterranean Turkey.